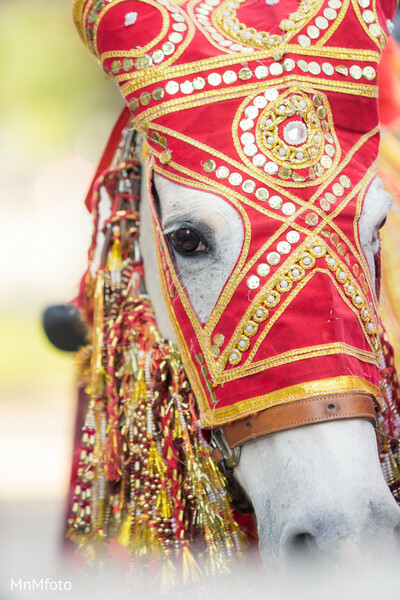 K.I. 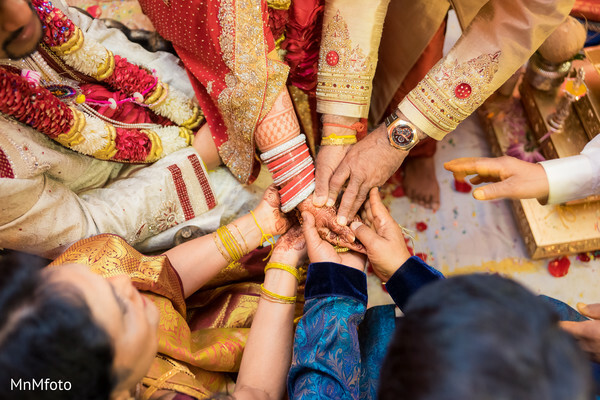 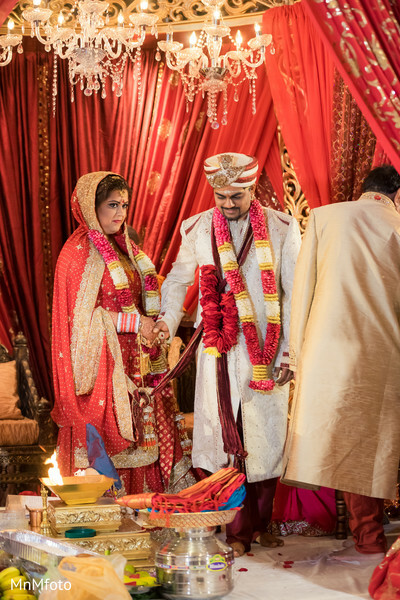 Weddings has planned and designed the most luxurious Indian wedding ceremony at the Hilton Houston Post Oak, and it's time for the main event! 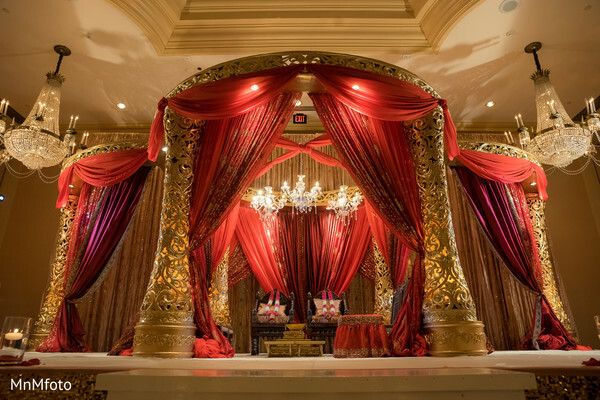 The ceremony space has been exquisitely done up in red and gold details by floral and decor experts, Prashe. 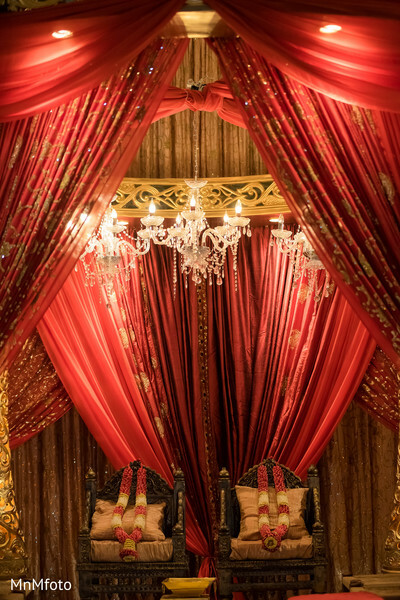 The lavish, indoor mandap is out-of-this-world and divinely decked out with more chandeliers than your wedding-lovin' hearts can handle. 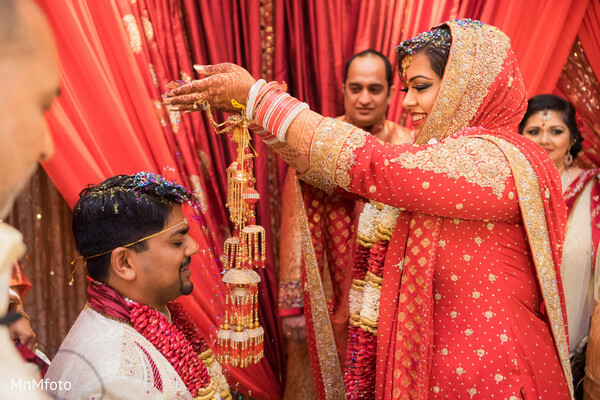 MnMfoto captured the most memorable moments from the ceremony in such stunning detail, like only a pro can, and every single shot is certain to take your breath away. 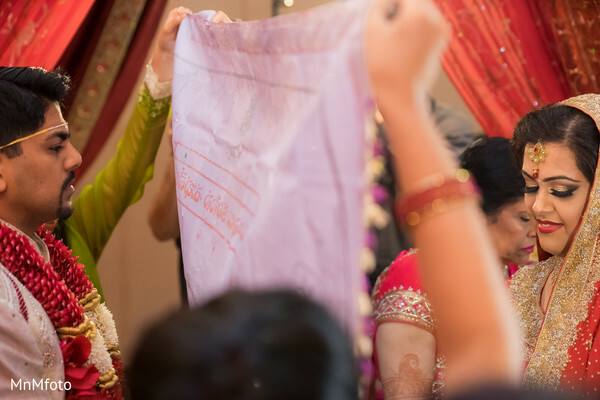 Maharani Janoo looked flawless as she made her way down the aisle in her traditional bridal lengha. 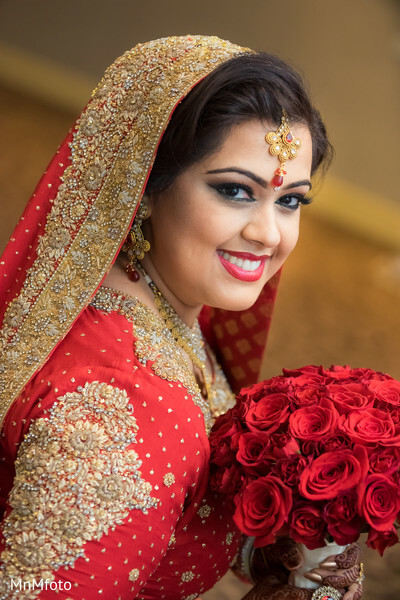 Her hair and makeup were fabulously flawless, thanks to beauty guru Ishnae & Co., and her magnificent mehndi details by Infinite Perfection were absolute bridal brillance. 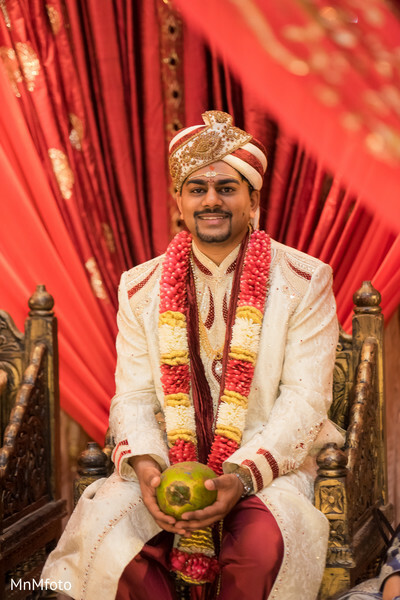 You have to pay the complete gallery a visit to see all of the incredibly unforgettable highlights from this wedding ceremony before we check out the reception — which is up next! 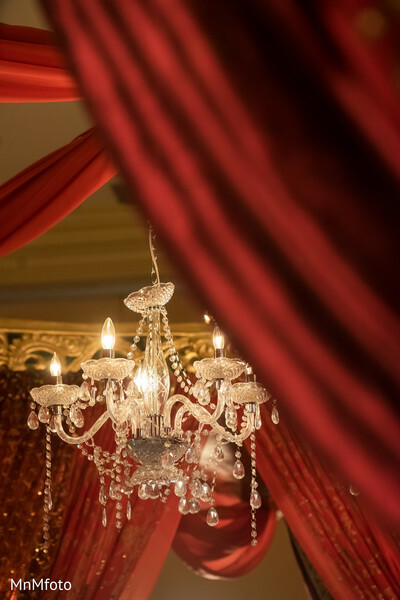 It's almost time to celebrate, so make sure to meet us back here soon or you may miss out on all the fun!